Seo-Jung (Kim Hee-Jung) hates that she is always compared to her older sister Seo-Yeon (Yeo Min-Joo), who is the ideal student. Seo-Jung often skips school and hangs around with Gi-Ryun (Kim Seul-Wong). One day, Seo-Jung leaves home, after she has an argument with her mother. 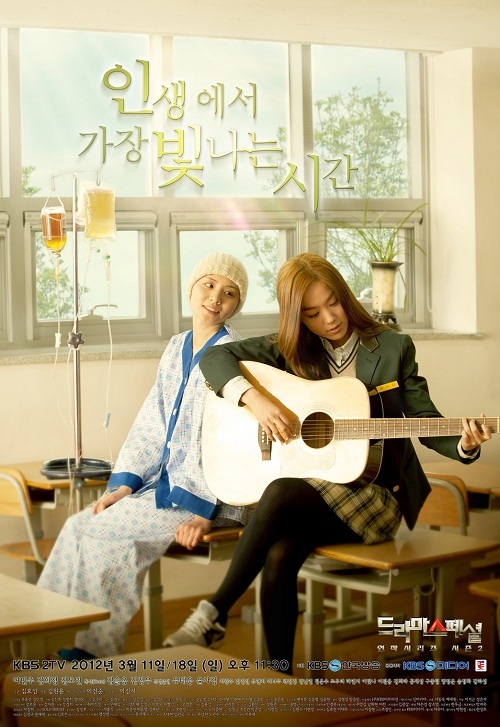 Meanwhile, Seo-Yeon is suddenly diagnosed with leukemia. What will happen to Seo-Jung's sister. "The Shiniest Time in Life" takes over the KBS2 Sun. 23:30 time slot previously occupied by "Drama Special Series: Maiden Detective Park Haesol" and followed by "Drama Special Series: The True Colors of Gang and Cheol" on March 25, 2012.